With the holiday season only a few frosty weeks away, our homes are being turned into a Christmas wonderland. Cookies and pies are being baked, halls are getting decked, lights are hung, trees are decorated, festive music sets is setting the mood and hot chocolate is soothing the soul. Hot chocolate or cocoa as many of us call it, is a classic favorite beverage we drink during the colder months, but especially during the holidays. Hot chocolate is not a new drink. It’s believed hot chocolate was first created by the Mayans around 2,500-3,000 years ago, and a cocoa beverage was an essential part of Aztec culture by 1400 AD. A delicious drink like this could not stay a secret for very long. The beverage became popular in Europe after being introduced from Mexico and has undergone multiple changes since then. Until the 19th century, hot chocolate was even used medicinally to treat ailments such as liver and stomach diseases. In the 21st century, hot chocolate is consumed throughout the world and comes in multiple variations. Today you can find flavored hot chocolate that is made with several ingredients mingled together to warm you up on a chilly evening. Copious companies make their own brand of hot chocolate that can be found in grocery stores in pouches, packets, powders and decorative tins. Some have tiny marshmallows included, while others taste like a chocolate bar — they are utterly irresistible. Just add boiling water or hot milk and snuggle up on the couch. Chia hot chocolate is an Indian inspired drink, a very thick pudding-like cioccolata calda can be found in Italy and chocolate a la taza delights people in Spain. Chocolate Santafereño is a Columbian recipe where residents dip chunks of cheese in this screaming hot beverage. Love spice, then the Chinese 5 spice hot chocolate will calm your cravings. In Austria, their Heiße Schokolade Wiener Art, (Hot chocolate Viennese style) is thickened with an egg and sprinkled with salt. Belgium is world renown for its chocolate, but they can also whip up a mean hot chocolate. They make theirs with hot milk and then trickling pure dark chocolate nibs on top. For the coffee lovers, it’s very common to add instant coffee to hot chocolate like they do in Brazil. 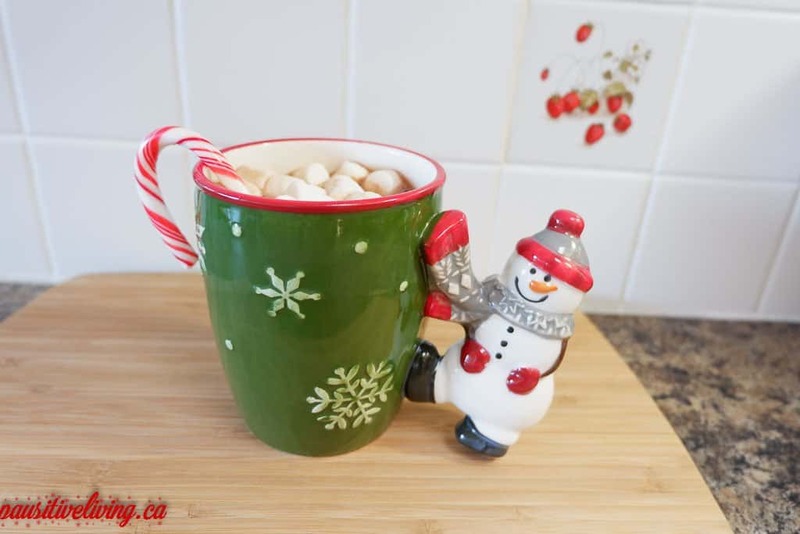 If you’re Canadian like me, then the Maple Sea Salt hot chocolate will lift your spirits during the holiday season. Hot chocolate is a versatile drink that is open to interpretation. Add or combine your own ingredients to come up with your own classic hot drink. Some of my family members like to add a few drops of peppermint essential oil to their drink – it’s delicious. Make it a new tradition every holiday season. its so cute!! i love hot chocolate!!! Hot chocolate is great on cold days after playing outside in the snow or shoveling. I like to make homemade for extra love. That was some great info, I can’t remember the last time I have had a cup of hot chocolate. I love that mug in the picture, it’s adorable and perfect for drinking hot chocolate! Its interesting that hot chocolate was used medicinally to treat ailments such as liver and stomach diseases. I had a cup of cocoa last night. First in a long time. Good as a chocolate bar. I find it keeps me cozy this time of year. A family favorite!! We like to add peppermint schnapps and indulge a little while wrapping 🙂 Makes it go a little quicker lol!! Wow I didn’t know the history of hot chocolate before. Definitely one of my favorite holiday treats. I really love Mexican Hot Chocolate. It’s boiled with lots of cinnamon. I’d like to try your favorite, Maple Sea Salt hot chocolate. Sounds yummy. It’s amazing when it’s time for hot chocolate…I always love to try different variants of the beverage and I used to drink the hot chocolate milk flavoured, but I developed an intollerance to milk, so I now opt for dark cocoa hot chocolate and it’s tasty as well! Adding peppermint EO to the hot chocolate, great idea! We keep ours simple and plain, sometimes we throw a few marshmallows on top. We never use the store bought powders or liquid, we make our own. My favourite is Rolo Hot Chocolate with Baileys. Good to know the origin of this wonderful drink. Nothing like a cup of hot chocolate after some heavy snow shoveling. Maybe 2 cups. Mmmm I love hot chocolate! With mini marshmallows is my favourite.. Makes me feel so warm and festive! Hot chocolate is my favorite drink this time of year. I have never tried it with peppermint, but marshmallows are a requirement. First of all, I’m in love with that cup! Also, I would love to try Chia hot chocolate! Sounds amazing and adding peppermint oil, brilliant! That’s some interesting history on hot chocolate. Love all hot chocolate. Good review. I love hot chocolate. I have some here so tonight I just might make myself a cup.